Hisame dropping the NOAH knowledge bombs every week! If you’re behind, just curious, or a frequent admirer of the Emerald ways, these Newsletters keep getting better and better. On the 13th January, Yoshinari Ogawa and HAYATA shook hands, and then briefly patted each other on the back for a quick hug. So far nothing more has come of this, HAYATA hasn’t turned against RATELS, and Yoshinari Ogawa is absent with flu, but HAYATA does have a singles match with YO-HEY on the 20th, and so we shall see how matters progress from there. Interestingly, YO-HEY has also spoke of “three people” being traitors. 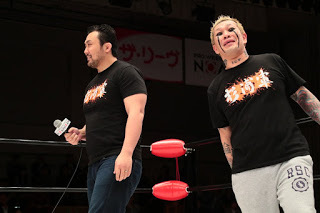 Hajime Ohara picked up a slight, but scary injury following a kick to the face from Keisuke Ishii, he found that his sight was blurred for a few days, but rest corrected it. Masa Kitamiya and Atsushi Kotoge (who thinks that “Masa needs a revolution”) will face off for the number one contendership for the GHC Heavyweight on the 20th January. 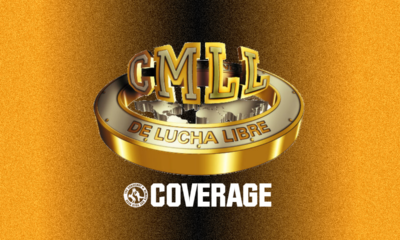 Kaito Kiyomiya says he does not care who wins, he will face and defend against the winner. Naomichi Marufuji will return to the ring on the 2nd February. 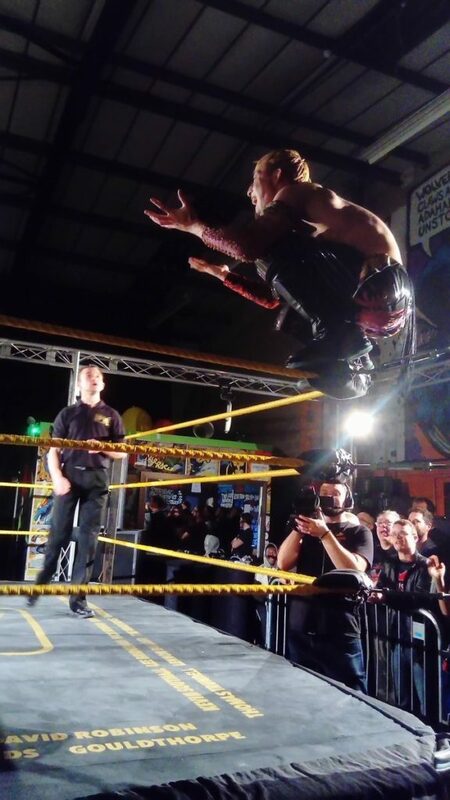 RATELS came to the UK to compete in IPW’S inaugural junior heavyweight tournament. Keeping to the current situation NOAH, they pretty much stayed apart (with Tadasuke the only one visibly siding with Harada, YO-HEY appearing to go off on his own and HAYATA not appearing with anyone). However, YO-HEY was seen to be standing watching HAYATA’S match with Kid Lykos, and loving it. 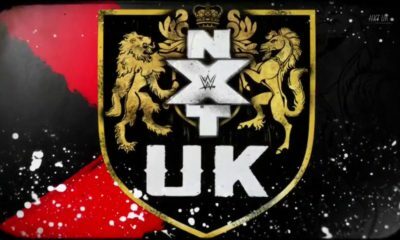 The tournament was held between eight wrestlers: Daisuke Harada, Tadasuke, YO-HEY, HAYATA, Chris Ridgeway, James Castle, Ben Basden and Kid Lykos. 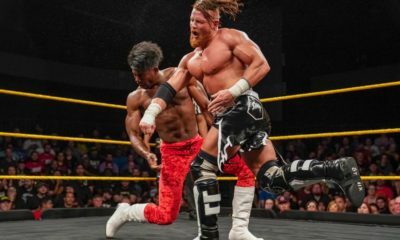 In the first round, Daisuke Harada and Chris Ridgeway beat the hell out of each other, YO-HEY was an instant hit with the crowd (who were disappointed that he wouldn’t be coming back), James Castle faced Tadasuke and HAYATA had a match against Kid Lykos which involved heel tactics and an attack from Chris Brookes. As far as the Noah matches went in the second round, NOAH naturally did not want to ruin the eventual Harada vs YO-HEY or the YO-HEY vs HAYATA, so we were treated to HAYATA vs Daisuke Harada. The finals came down to James Castle vs Daisuke Harada, in which Harada was victorious and became the first IPW Junior Heavyweight Champion, he was handed the belt by Doug Williams, and bought it to the ring today in NOAH. 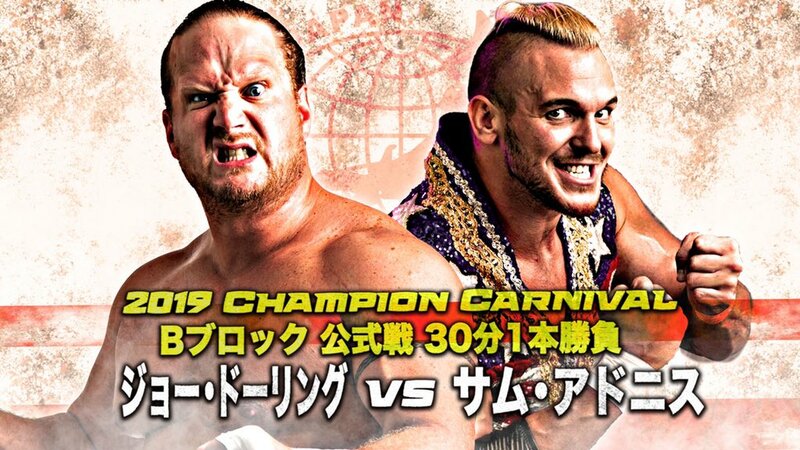 Chris Ridgeway has vowed revenge on Harada, he says that not only will he come to Japan to make him tap out, he would also take the belt too. 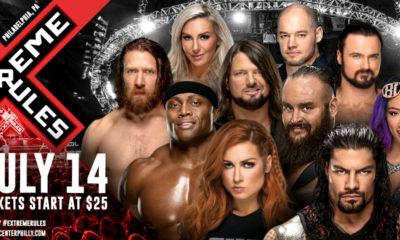 A more detailed recap of the event can be found via my podcast episode at either Soundcloud or iTunes (please see links at the end of the newsletter). Tokyo Sports are suggesting that as 2019 will mark Jun Akiyama’s five years of All Japan presidency, and of course NOAH will celebrate their 20 years in August, there may well be a collaboration between the two for the anniversary, NOAH of course coming from All Japan. 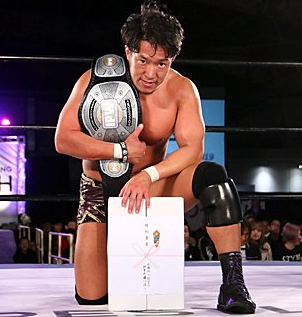 At the annual awards, Naomichi Marufuji picked up the award for “Outstanding Achievement”, and Kaito Kiyomiya the award for “Fighting Spirit”. “I have received the “Fighting Spirit Award”. Thank you very much. When I heard I was getting this award, I was very surprised. I am proud to have taken the belt last year, and this year, as champion, as NOAH’s face, I would like to run with everyone who supports me. Thank you very much”. 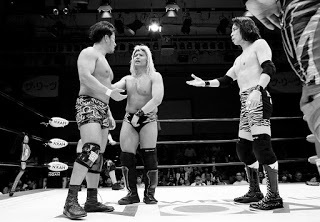 Kenoh’s worse fears are that Marufuji will challenge for the title when he returns on the 2nd February, and that Kiyomiya will defeat him (Kenoh wants to be the one to do it), and he has sworn he will crush them both if so. Kenoh finished by saying that his goal for this year is to get his revenge on Kiyomiya, that is his “screenplay”. ~ Yoshinari Ogawa has been pulled from the NOAH tour from the 19th to the 26th January as he is suffering from influenza. ~ Fifty Funky Powers disco ball was out, proud and rotating at NOAH’s show on January 13th. For their entry the lights dimmed and it threw green spots around the hall. None. He’s been too preoccupied with his new dog, and the weather has been too cold for him to be rude. The final night of “Navigation For The Future 2019” will be broadcast on Saturday 9th February 2019 at 10pm JST on Samurai. 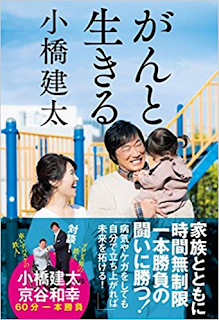 “Living with Cancer” is a book written in March 2018 by Kenta Kobashi. It has five chapters and details his life from his diagnosis until now. For cancer sufferers and their families, he gives advice and support, while he also details his own battle against it. 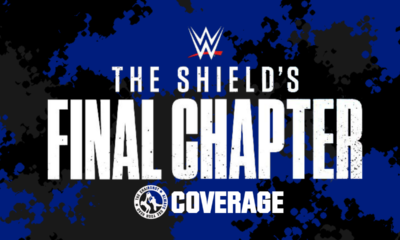 The last chapter is dedicated to his family, his infant daughter and the fans. 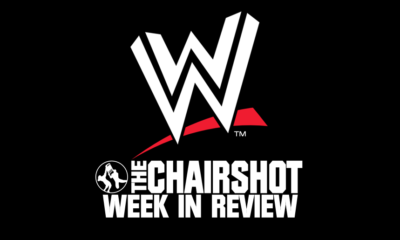 As one reviewer has put it, Misawa taught Kobashi the importance of leaving the ring alive.